Mehd Ozil from Malappuram received a surprise birthday gift from German football player Mesut Ozil. He sent a personally autographed jersey to the little boy who is going to celebrate his birthday on December 29. 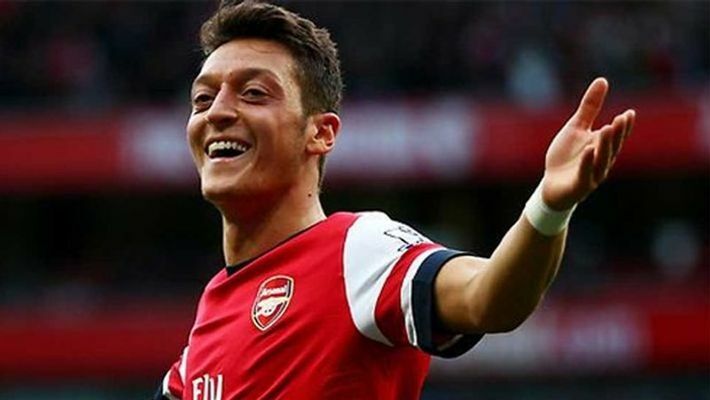 Malappuram: Ahead of his first birthday, a Kerala kid has received a surprise gift from German footballer Mesut Ozil. Mehd Ozil from Manjeri, Malappuram, was named after Mesut, by his father Inzamam Ul-Haq, who is a die-hard fan of the Arsenal Football Club. On Mehd's first birthday the little champ received a surprise gift from Germany. Mesut, the Arsenal star, personally sent an autographed jersey to the little boy. Mehd will celebrate his first birthday on December 29. Apart from the jersey, the kid also received a video story from the Arsenal club. In the video, Mesut says the jersey is a special gift to the boy and to his family members who are ardent supporters of Arsenal. In the same video, Inzamam can be seen with the little kid and said the gift he received means a lot to the family and Mesut will be in their prayers. He also said that he hopes to see Mesut as soon as possible. This video already has gone viral on social media. Inzamam is a civil engineer by profession and a die-hard fan of the English football club from his childhood. He was a local football player and former captain of Malappuram district cricket team. He also wishes his son to be a football player. Inzamam still hasn't got over the surprise gift. The surprise gift was sent directly to Arsenal Kerala Football Club in Thrissur and was handed over to Inzamam.